Personal Protection Tip: Do not accept "old wives tales" as facts. With the advent and popularity of the Internet, many urban legends are quickly disseminated across the globe and widely believed despite being false. 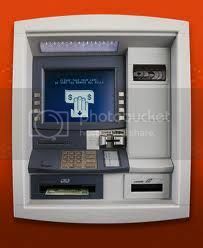 One such myth is that ATM PIN numbers have a safety feature that will dispense the requested cash and also notify the police IF the PIN is entered in reverse order. This info and other urban legends can be debunked by researching Snopes.com on the Internet. Basing your safety on false information can be dangerous.